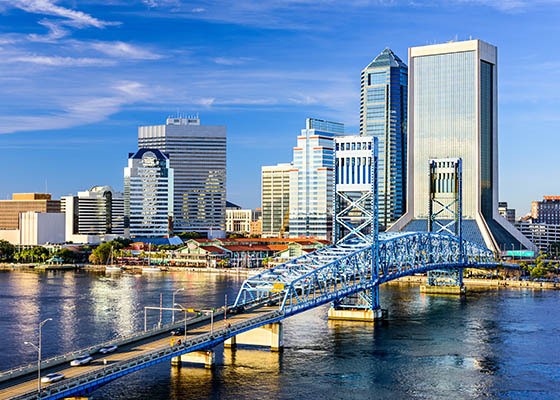 Located on the northern Atlantic coast side of Florida and just an hour from Savannah, Georgia, Jacksonville boasts proximity to 1,100 miles of sandy, white shoreline. The climate is a huge draw for transplants. Although the summer can be steamy (and thus perfect for beach-going) the winter, spring and fall are all-around pleasant, with November through April averaging temps in the mid-60’s to mid-70s. Jacksonville is home to a thriving job market, thanks, in part, to the presence of both maritime and military installations. Homes for sale in Jacksonville are competitively priced, with the median home value an ultra-affordable $154,900. 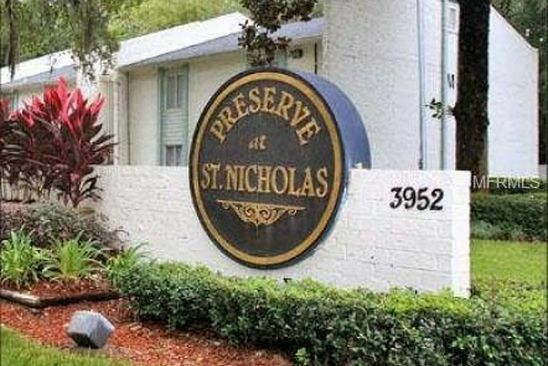 Jacksonville homes for sale include properties in popular neighborhoods like San Marco, Atlantic Beach, Orange Park and Riverside. 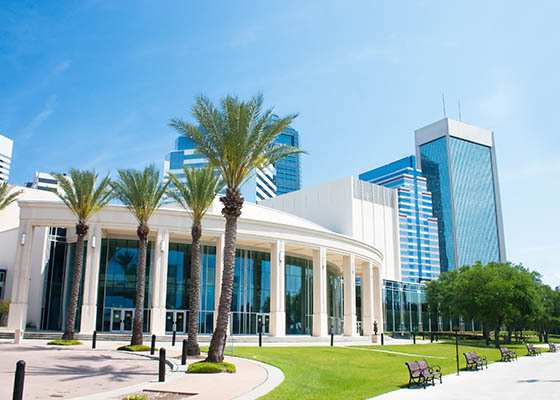 With a population of just over 1.4 million, Jacksonville is just big enough to give everyone the entertainment, dining and housing options they crave, without being overwhelming in scope or expense. The city features 80,000 acres of parks and trails, and is home to the largest urban park system in the U.S. Popular golf locales nearby include Amelia Island and Ponte Vedra. Residents and visitors alike take advantage of the area’s many camping, cycling and hiking grounds, particularly spots like Timucuan Ecological and Historic Preserve. 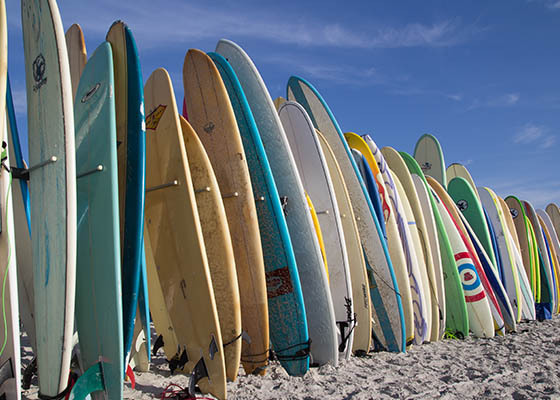 Obviously, there’s no shortage of water-related activities either, with dozens of spots for those who enjoy fishing, surfing, swimming and boating. Professional sports fans have their pick of teams to root for. The Jacksonville Jaguars (football), Sharks (arena football), Suns (baseball) and Armada (soccer) all call this beautiful area home. Jax’s proximity to the coast makes it a great place to enjoy seafood, while the food scene is also influenced by the area’s diverse culture.